The Santa Fe Compact drains it's condensate via gravity. If you don't have a floor drain - you may need to pump your condensate up or over. 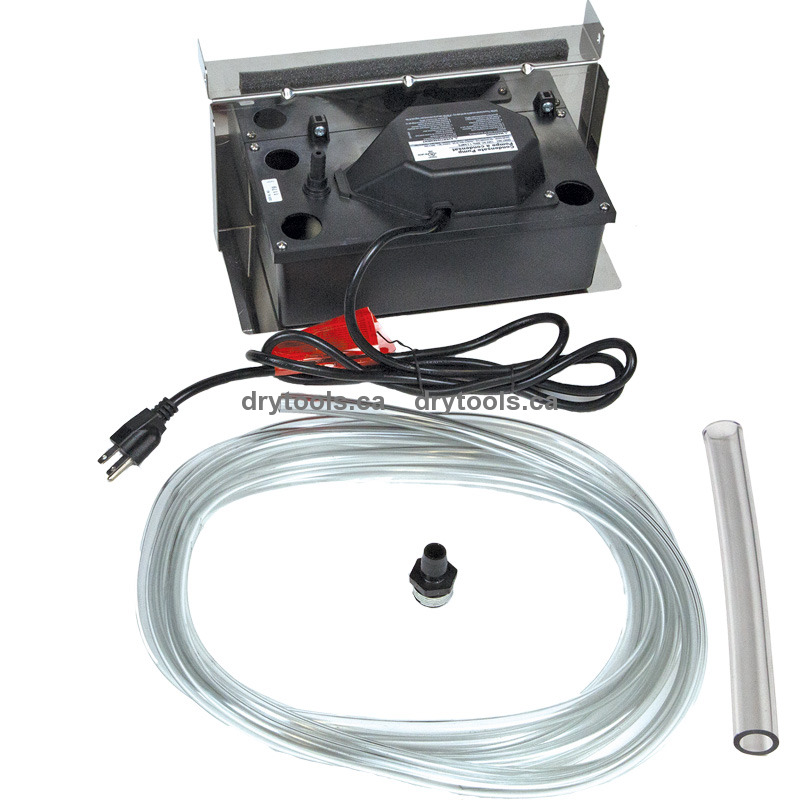 Pump attaches directly to dehumidifier and provides 20' vertical lift.